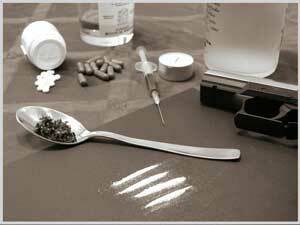 The Criminal Code of Canada carries penalties for the possession, trafficking and production of illicit substances. The Canadian government has recently taken a strong stance against drug crimes with the imposition of mandatory minimum sentences for selling drugs and growing marijuana. As a result, drug offences may carry severe penalties in the event of conviction. There is a minimum two year prison term if the accused is found guilty of trafficking in drugs such as marijuana or cocaine in or around a school, or in or by a public place where persons under the age of 18 are frequently found, or the accused uses the services of someone under 18 to sell the drugs, or the accused traffics drugs in a prison. In addition, cases involving “offence-related property” have presented new issues to those accused of committing serious drug crimes. In these cases, the prosecution seeks to seize property where it is used in relation to marijuana grow-ops, trafficking, or possessing for the purpose of trafficking in any illegal substance. Offence-related property can include the loss of one’s family home or automobile if the property (house, automobile, etc.) was used in the commission of one of the serious aforementioned drug offences. In our experience as drug attorneys, police use a number of tactics to trap suspected drug dealers: undercover officers, police agents, confidential informants, wiretaps, surveillance, and entrapment. Undercover officers are commonly used as potential purchasers. Typically, the officer will buy small amounts of drugs, and make his way up to larger amounts, hoping to catch other conspirators up the supply chain. Police agents are usually career criminals familiar with the drug subculture, employed by police, who actively seeks out drugs to buy. The police agent is promised money and/or leniency in exchange for “entrapping” suspected drug dealers. The Criminal Law Team finds that the police agent, if not carefully controlled by his or her police handler, is easy pickings when it comes to attacking his or her credibility as a witness. Police agents tend to be persons who have trouble telling the truth, and their criminal records supports this argument. The crown is required to provide full disclosure to the defence of any and all criminal activity that the police agent has been involved in. Confidential informants are also usually career criminals who are offered money and/or leniency to provide the police with information about drug dealing, grow ops, etc. The crown is not required to disclose any information about the informant that would tend to identify him or her. However, if the police rely on information from a confidential informant to obtain a wiretap or search warrant, or tracking device, the reliability of the informant can be tested by other means. Sometimes the crown has to fold its case in circumstances where they are unwilling to disclose information that is relevant to the credibility of the informant. Finally, wiretap and surveillance techniques are usually employed where the police are investigating drug conspiracies involving a number of suspects and large quantities of drugs. The Criminal Law Team has had success in obtaining excellent results for clients charged with being involved in drug conspiracies in circumstances where we have been able to challenge the grounds for obtaining the wiretap. In one case, we were successful in obtaining a withdrawal of all charges for a client charged with being involved in a large operation to bring cocaine and ecstasy into Canada by arguing that the wiretap authorization contained misleading information. The offence of possession for the purpose of trafficking carries the same penalty as the offence of trafficking. To find a conviction for possession for the purpose of trafficking, the prosecution must establish that the quantity of drugs seized, and the surrounding circumstances (manner of packaging, existence or not of scales, debt list, etc), proves that the drugs were possessed with the intent to sell. The Criminal Law Team has been successful in a number of cases in having this serious charge withdrawn, or reduced to a charge of simple possession (with a penalty of a fine, probation, or discharge), where, for example, we were able to establish that the client had a serious drug addiction that would explain the need to possess a large quantity of drugs. The Criminal Law Team has access to a number of professionals who can help clients with drug, prescription abuse or alcohol problems to obtain the help they need, usually allowing them to stay out of jail, and become productive members of society. If you have been charged with a drug offence, it is important to retain The Criminal Law Team as soon as possible to avoid the severe penalties attached to these crimes. The Criminal Law Team has significant experience and success defending clients who have been charged with serious drug offences. We have also had considerable success in challenging government attempts to seize offence-related property in grow-op cases. With the help of an experienced drug crimes lawyer, our clients have received outcomes ranging from reduced sentences to acquittals. Toronto’s Criminal Law Team have a combined experience of over 60+ years specifically in Criminal Law, and have defended hundreds of clients charged with drug offences. See what our other clients are saying about us. We can help you too! Given recent changes to immigration laws in this country, if you are not a Canadian citizen, there is a greater potential that a criminal record will affect your right to remain in Canada. We have an over 85% success rate either getting charges dropped, reduced or withdrawn completely. Call us today if you have been charged with a drug offence.